THIS WEEK’S OTHER FEATURED BOOKS, “DOCTOR KINNEY’S HOUSEKEEPER,” BY SARA DAHMEN AND “JUST UNDER THE SKY,” BY R.K. GOLD, CAN BE FOUND BY SCROLLING DOWN BELOW THIS POST, OR BY CLICKING THE AUTHOR’S NAME ON OUR “AUTHOR” AGE. SUMMARY: Middle-aged Hector has moved, with his beautiful wife, away from a lackluster playwriting career in New York City, to a picturesque Appalachian town, determined to give up the creative life. But his creativity won’t be denied, and he “gives birth” — somewhat like any artist gives birth to their work — to a decidedly dramatic little character who won’t go away, and is determined that Hector will face the demons he’s been living with. Though Hec knows he’s hallucinating, he nevertheless finds it impossible to disengage his playwriting mind to end the homunculus’ existence, which leads to his eventual crisis of sanity. THE BACK STORY: I first wrote a very short short story that later became the opening sequence of a novella. Then later I expanded the novella into the novel. The whole process took several years, but I was working on other stories during the same period. WHY THIS TITLE? Homunculus means “little man,” and is used in several contexts by psychologists as well as historians. WHY WOULD SOMEONE WANT TO READ IT? This is a novel for people who seek out literary fiction that surprises, challenges, and rewards the reader by exploring some psychological territory that hasn’t been visited before. If I spend the time to read a book, I want my feathers to be ruffled by it; I write for readers like me. “…a beautifully crafted and deeply weird book…” — Byron Ballard, Rapid River Magazine. “[Stubblefield] has captured the subtlety of madness…as if it were as natural as writing love or anger. [He] spins an excellently paced tale…brilliantly described…wonderfully subtle…Homunculus is a great book, and I suggest you get close to it…” — James Crane, Electric City. 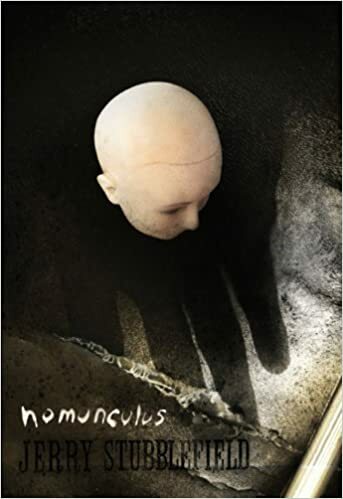 “Stubblefield delivers crisp dialogue and penetrating character studies…Homunculus is a psychologically probing tale, and its portrait of neurotic impulses made flesh is one readers won’t soon forget.” — Carl Hays, Booklist Magazine. 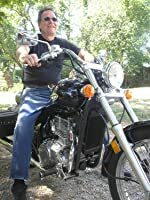 SAMPLE CHAPTER: https://www.amazon.com/Homuculus-Jerry-Stubblefield/dp/0930773918 or my website jerrystubblefield.com,. LOCAL OUTLETS: Malaprops Book Store, Books & Beans (in Little Switzerland on the Parkway). WHERE ELSE TO BUY IT: Amazon, Barnes & Noble, a bazillion online outlets, and direct from Black Heron Press through its website. PRICE: $23.95 (hardback only) discounted on Amazon etc. CONTACT THE AUTHOR: I love to hear from readers and will respond. My email is jstubblefield49@gmail.com. I have a Facebook page for this.